Since launching in the Ultra High Definition Television space in 2012 with an extravagant 84-inch panel, Sony has been making solid in-roads to this segment of the premium TV market. Referred to as 4K by the brand (to indicate a horizontal resolution of approximately 4,000 pixels), Sony has since launched two additional models to its line-up, both coming in under the $25,000 price tag of the original 84-inch model. First unveiled in Australia in May, the X9000 series (also referred to as the ‘X9’) included two 55-inch and 65-inch models with built-in speakers at the side of the panel, while the updated X8 was shown off in Australia shortly after IFA. This new iteration, available in 55-inch and 66-inch screen sizes, did away with the integrated speakers and was targeted at consumers with an existing home theatre set up. 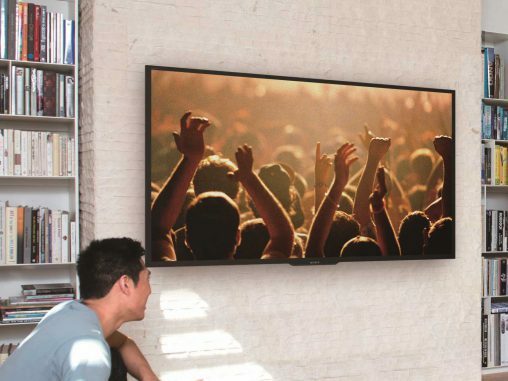 According to Sony Australia’s marketing manager for home entertainment, Hass Mahdi, Sony has been focused on “widening the consumer choice” for 4K products as the technology gains traction in the Australian market. While the uptake hasn’t been instant — Ultra High Definition TV still commands a premium in the retail space — Mahdi told ApplianceRetailer.com.au that Sony’s 4K strategy is on track in Australia, comparing the rollout of the technology to the rollout of the now ubiquitous Full HD technology. “With Full HD, we launched a premium line of televisions and then there was a rapid expansion,” said Mahdi. “The same will happen with 4K. Moving forward, you’re going to see a large focus for us to shift our TV line-up from a 2K [Full HD] proposition to a 4K proposition. While the brilliant resolution of a 4K TV may seem extravagant to some consumers (and even some retailers), Mahdi said the technology went hand-in-hand with Australia’s demand for ever bigger TVs. “4K really enables larger screen sizes,” he said. “When you go out to retail now you can see some pretty large screens that are Full HD — 70-inch TVs for example — but you stand there and think, ‘Wow, the picture quality in that is not great’. And it’s because you’ve got the same number of pixels on that screen as you would on a 50-inch Full HD panel, so it’s all stretched. Ultra HD content is important to attract 4K consumers. But with more pixels on the screen comes the need for higher resolution content to watch. Many in the industry have been quick to point out that a lack of content could hamper Ultra High Definition TV — without TV and movies to watch in three dimensions, 3D TV struggled in this respect. However, Mahdi said the content comparison between 4K and 3D was “invalid” and it was much more useful to compare the new technology to Full HD. Just as Australians have made the shift from Standard Definition to HD and then Full HD (both in terms of content consumption and expectations of technology), the market would also eventually come to see Ultra High Definition as the norm. “When we talk about 4K TV, the 4K ecosystem has existed for quite some time. It exists from a recording perspective — Sony Pictures has been recording 4K content for quite a long time — and when we look at the broadcast and professional camera side of our business, that market has already shifted from Full HD to 4K. Now things are being recorded in 4K by default and it was the same thing that happened with Full HD. So when you start detailing all of that, the 4K TV is the last piece of the jigsaw puzzle. “On the other hand, 3D really was a technology that required a special kit to record it, which really limited its ability to become mainstream. Also, from an experience perspective, 3D was never going to be an everyday content consumption behaviour, because no one wants to watch 3D news, and you’re not going to watch every movie in 3D. As far as the availability of content is concerned, Sony has developed ‘Mastered in 4K’ Blu-ray content to bundle with its TVs, while the brand’s X-Reality Pro processor allows users to watch Full HD content on a 4K TV, thanks to “some pretty amazing upscaling technology”. Mahdi also alluded to an extension of the brand’s Video Unlimited service, announced at IFA in Berlin this year, which will allow users to stream content to their 4K TVs; while the service is currently only slated for the US, Mahdi said it was “only a matter of time” before it was available in Australia. In the mean time, Mahdi is happy with how 4K has rolled out in Australia, with consumers developing a greater understanding of the technology and retailers supporting it at the store level. “The understanding around 4K is certainly there,” he said. “It’s quite apparent that the experience is better because there’s four times the resolution, so it’s quite a simple proposition. “I think the adoption rate will increase as more people become familiar with it and people start justifying the premium for the technology. “Retailers are definitely on board with the expansion of new technology, as they always are, because it means getting new experiences to the consumer and ultimately it drives consumers into their stores. As for OLED, the other technology making waves in the premium end of the TV market, Mahdi said Sony’s 4K panels still represented a better proposition for consumers — for now. “OLED from our perspective is the next stepping stone from a 4K perspective,” he said. “OLED has quite publicly had some yield issues for quite some time. A [Full HD] OLED TV at the price points we’ve seen, we don’t really think it’s a friendly consumer experience, which I think everyone gets.